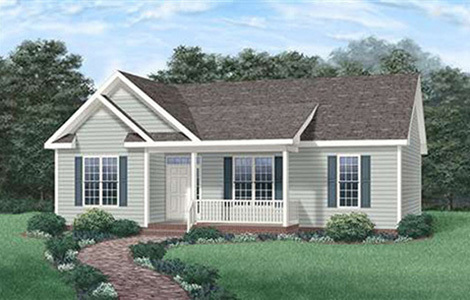 Soothing charm and smart economy are perfectly united in this compact three-bedroom home design. Enjoy a different kind of Blues as you appreciate the features this plan has to offer: Porch shelters a front entry that includes sidelights and a transom window Tall windows enhance the family room and bedrooms 1 and 2 at the front of the house Vaulted ceiling in the family room; nine-foot ceiling height in all other rooms. 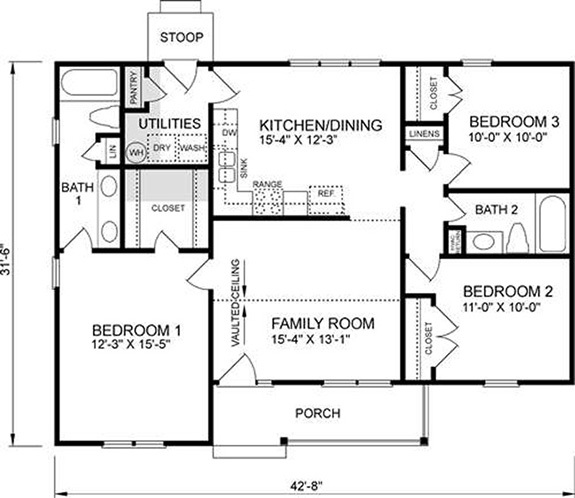 Master bedroom has a walk-in closet and a private full bath with a double vanity. Bedrooms 2 and 3 share a second full bath. Combined kitchen/dining room for informal meals Utility room with pantry or storage closet and access to the back stoop.